Known as the most visible and enduring figure in the Singapore biodiversity community, Prof. Leo Tan Wee Hin is an outstanding science educator and passionate advocate for environment, in particular biodiversity conservation. Prof. Leo is a marine biologist by training. He championed the protection of Labrador Beach and Park – Singapore’s only remaining rocky shore, which the Government gazetted as Labrador Nature Reserve in 2002. During his stint as Director and CEO of Singapore Science Centre (1982-1991), he supported the publication of tropical guide/ reference books on local flora and fauna under the series on “Natural History of Singapore”. There are now more than 45 titles under the series. At the National University of Singapore (NUS), he was also involved in two major research projects. One was Singapore’s first landfill at Semakau research survey (2008-2012) on the biodiversity of the mangroves and intertidal zone. The work was spearheaded by the then Raffles Museum of Biodiversity Research (RMBR) of NUS. Prof. Leo also played an instrumental role in the green development of the Semakau landfill as a co-consultant for its mangrove regeneration programme. He was also involved in a comprehensive marine biodiversity survey of Singapore’s coastal environment from 2010 to 2015. More than a 100 new/ unrecorded species were found. The latter project was conducted in collaboration with the National Parks Board (NParks). 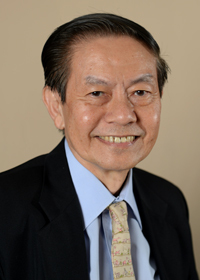 Between 2008 and 2011, Prof. Leo was the Chair of the Editorial Advisory Board for the seminal publication by NUS on “Singapore Biodiversity – An Encyclopaedia of the Natural Environment and Sustainable Development”. He also championed the restoration of the 160-year old RMBR into a new museum renamed as the Lee Kong Chian Natural History Museum in 2015. Prof Leo was instrumental in raising SGD 56 million within a short period of about 6 months for the museum. Prof. Leo has mentored many students during his career, one of his distinguished student is Professor Peter Ng who is a renowned expert on the classification, conservation and ecology of freshwater crabs, and is currently the head of the Lee Kong Chian Natural History Museum. “His primary impact has been his achievements in transforming teacher education in general and science education, at both the school and tertiary levels, and in nurturing engagement in science among the public. The depth and breadth of his contribution is not limited to transforming what students learn and the way they learn, it has also impacted ordinary Singaporeans by improving their living environments, biodiversity, and by securing a sustainable future for our City in a Garden,” said Prof. Ng. For Dr. Shawn Lum, president of Nature Society (Singapore), Prof. Leo’s entire career has been about enabling and empowering others. “Professor Tan volunteers his time for the cause of biodiversity conservation and youth empowerment, and has done so for decades. His love for and deep knowledge of nature invokes wonder in everyone he speaks to. His influence is beyond what Professor Tan can imagine, and I know this because I was greatly influenced by him without him ever realizing it,” he said. While Prof. Leo was the Chairman of the National Parks Board from 1997 to 2008, he championed the iconic development of Gardens by the Bay, a national garden and premier horticultural attraction. Prof. Leo continues to serve the National Parks Board as Chairman of the Singapore Garden City Fund, a fund that is set up to realize Singapore’s vision of a City in a Garden which includes supporting projects on urban biodiversity. Prof. Leo received the 2007 President’s Award for Environment, the “highest accolade for individuals, educational institutions and organizations that have made outstanding contributions towards environmental and water resource sustainability in Singapore”.